ashlee nicole spills | blog: Remembering Left Eye. Today marks the 8th year anniversary of Lisa "Left Eye" Lopes' death. This year, she would have been 39. Left Eye was in La Ceiba, Honduras, when she died in a car accident. She, along with nine others were in the car at the time, but she was the only fatality. On twitter, fans continually post lyrics, quotes and thoughts about the late singer/rapper. #RIPLeftEye was made into a trending topic. I've always loved Left Eye. She was my fave of the group. Yeah, she was a little re-re, but she was different, and different is always better. She's gone but definitely not forgotten. I was going to post the footage from the actual crash, but um, that's a bit much. So, I'll just post happy days. Okay, that's enough, 'cause I can post all day! Omg, I MISS Left Eye! Though Left Eye is gone, her legacy is not and will never be forgotten. 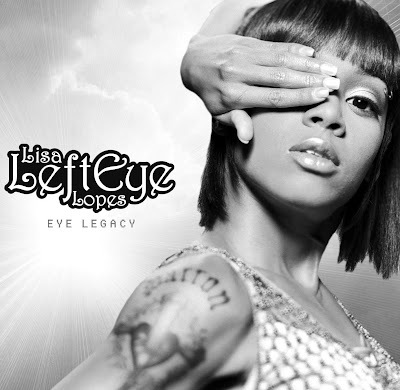 Mass Appeal Entertainment, along with the Lopes family and Koch Entertainment will be dropping Eye- Legacy, a collection of music, art, and energy from the late Lisa “Left Eye” Lopes. For more information and updates, log onto lefteyelegacy.com.